Finance, business and banking icons. Finance, business and banking icon set. 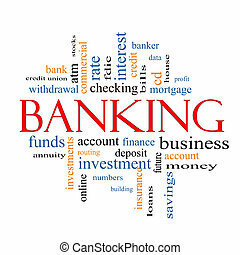 Banking Word Cloud Concept with great terms such as bank, credit union, checking, account, annity and more. Business banking concept icons set.